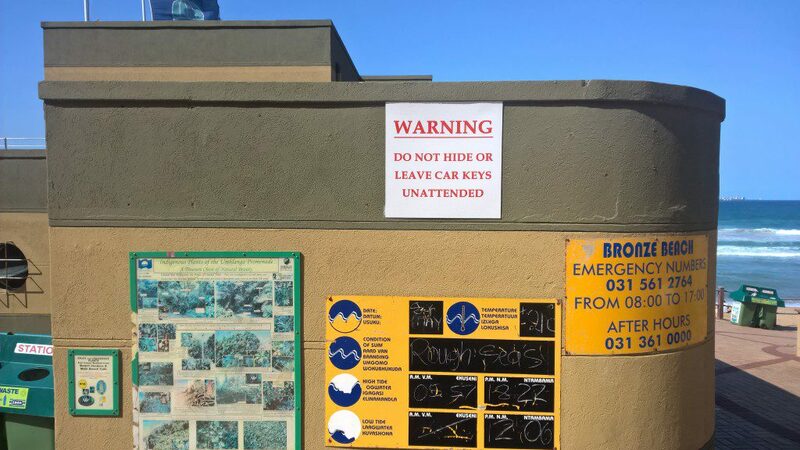 The uMhlanga UIP wishes to warn surfers, runners, swimmers and anyone else who hides their keys or leaves them unattended not to do so. Criminals are on the look out for this and you run the risk of getting their cars broken into or stolen. The UIP is looking at additional personnel in the area and have erected signage to remind people to help with vigilance.